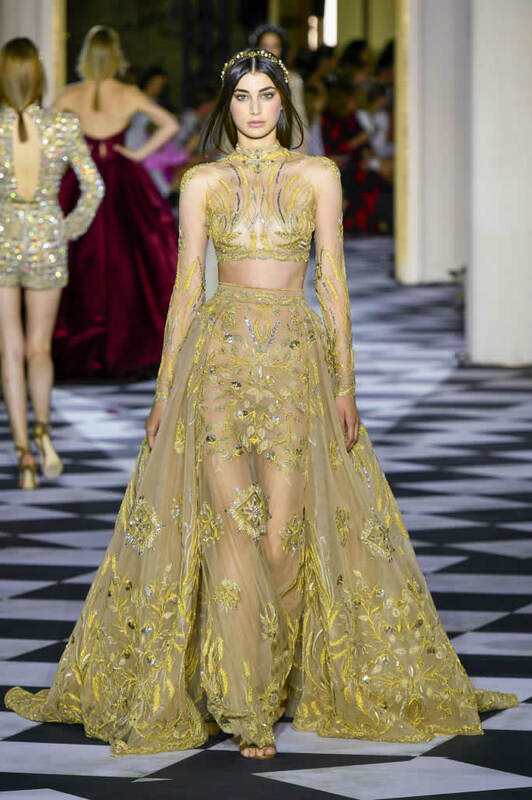 Zuhair Murad sprinkled military uniforms into a world inspired by Imperial Russia’s tsarinas and their elaborately embroidered ballgowns. 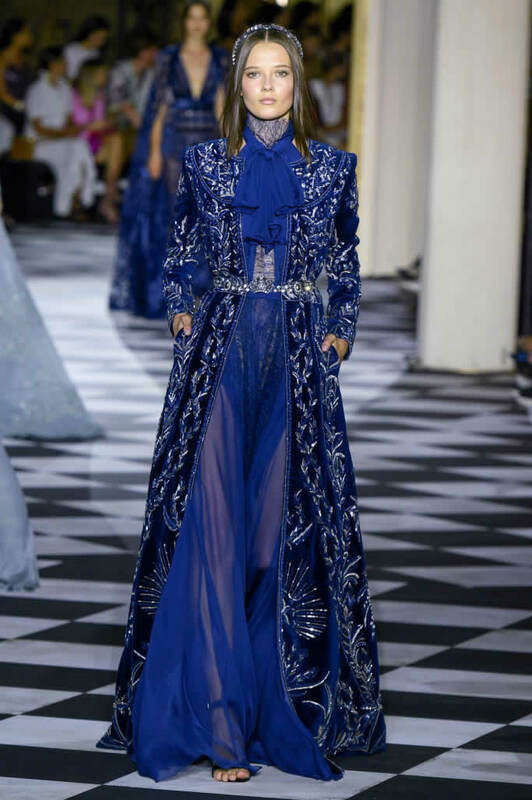 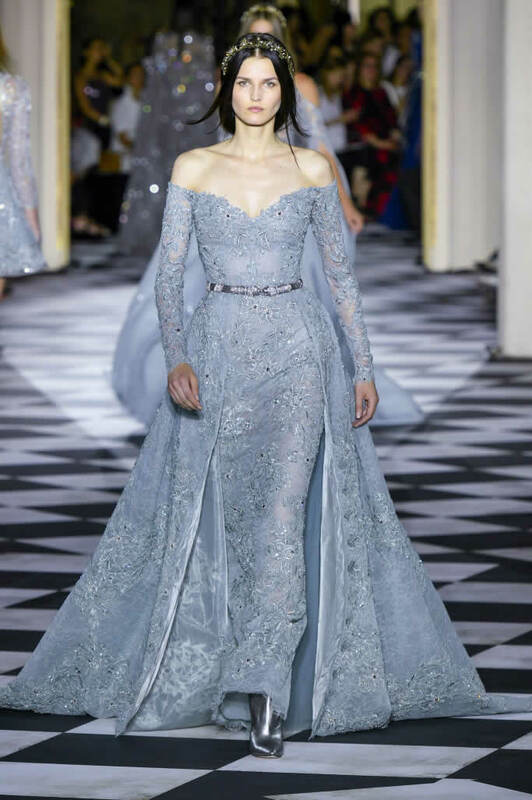 For his fall couture lineup, Zuhair Murad looked to Imperial Russia, mining the period’s textures and patterns, and a sprinkling of references to military suits. 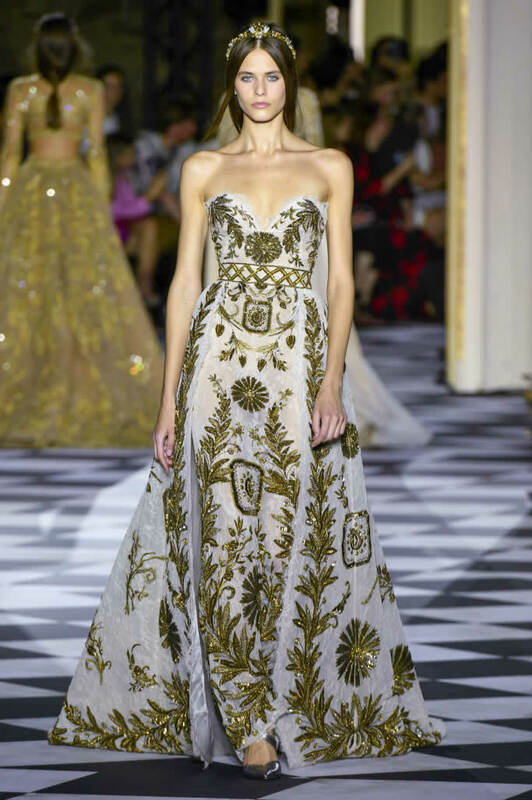 A dark palette served as a backdrop to elaborate embroideries; floral and arabesque motifs applied in bronze, gold and silver. 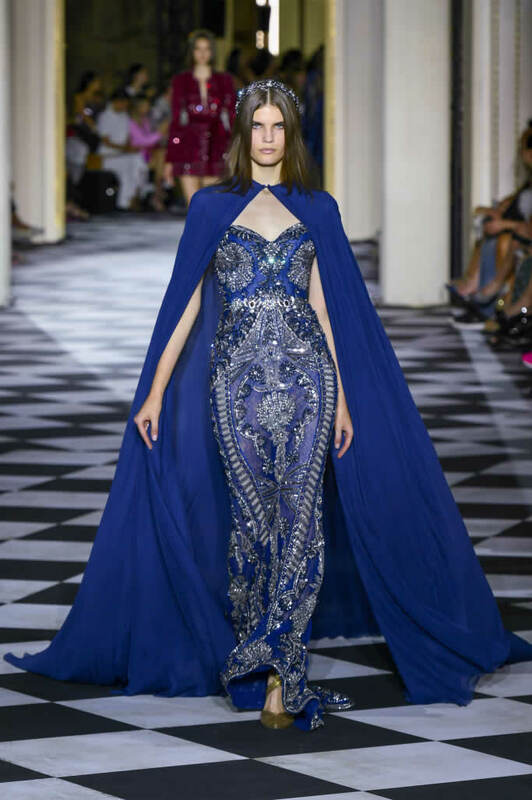 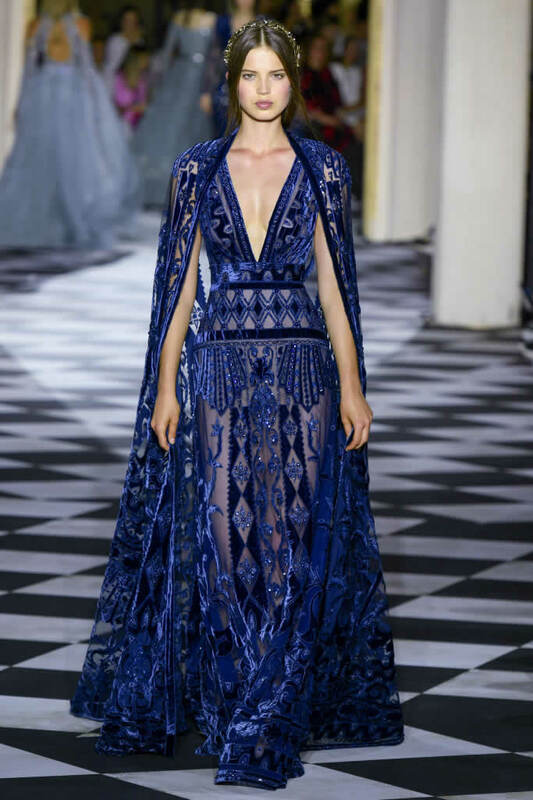 The designer threw in a bright blue, which he used to make long dresses with flowing capes. 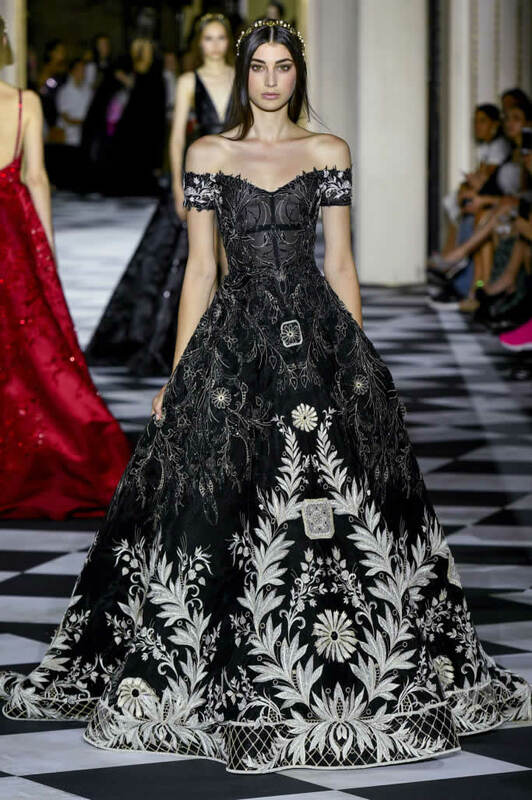 Red served as a rich accent — woven into a floral pattern on a cape dress in black crepe in one case, and incorporated on a jacket paired with sarouel pants in another. 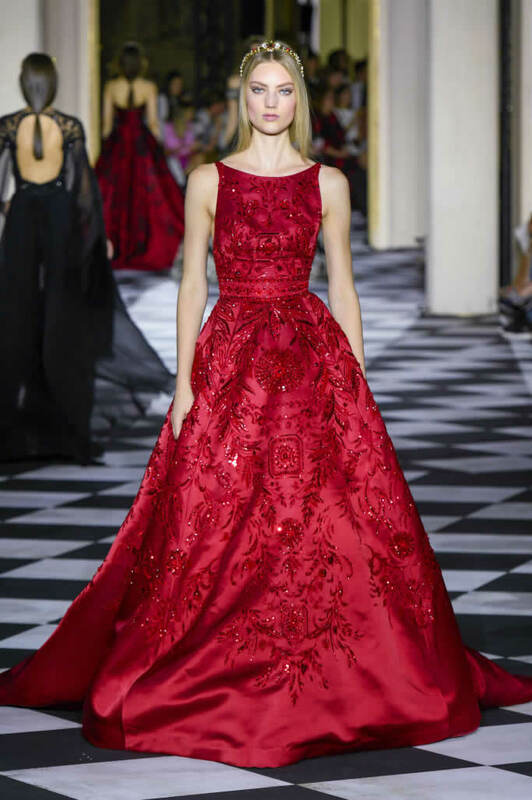 There was solid red, too, with an asymmetric dress covered in beads, the embroidery a Fabergé motif. 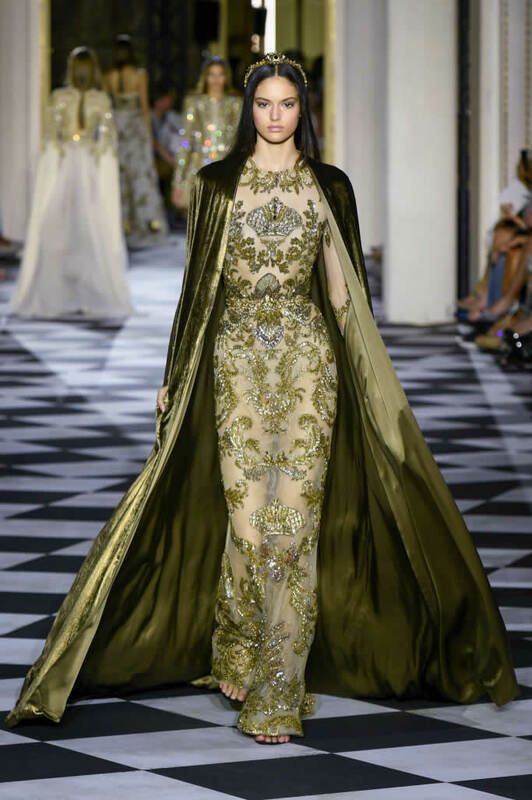 For the rest of the color scheme, he turned to pale hues of green, gray and pale blue; ivory serving as a luxurious backdrop for gold beadwork. 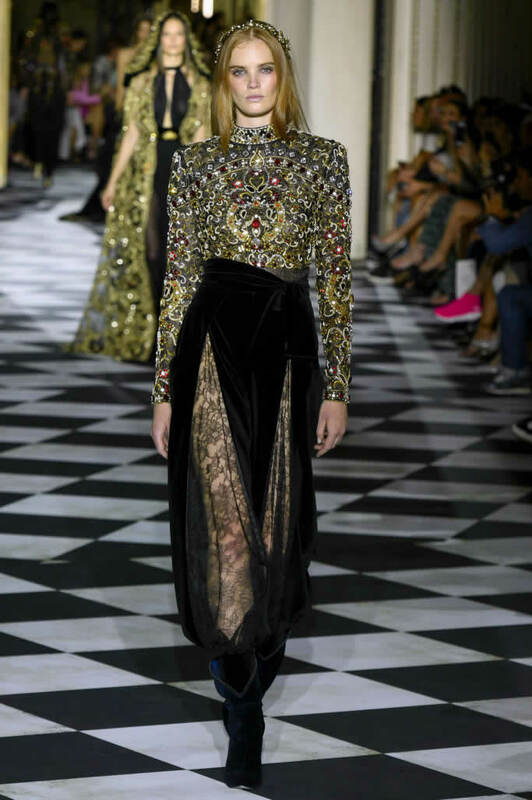 But it wasn’t all about the balls, tsarinas and Fabergé eggs. 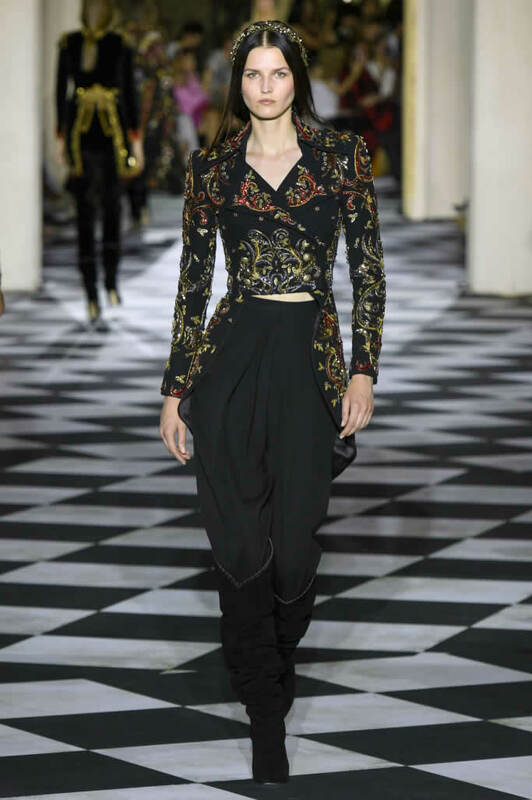 Murad widened his scope, adding weight through masculine elements borrowed from military uniforms.